This Guy wanted to Place a Gay “Groom Wanted” Ad. Read What Happened. Harish Iyer is a Mumbai-based gay rights activist and recently approached several English Newspapers to place an ad for a gay groom for marriage. His mother wanted him to get married and settle down and therefore he took this step. Unfortunately most newspapers turned his request down and said it was “illegal” and therefore began his hunt to look for one daily that would agree to print his Advertisement. 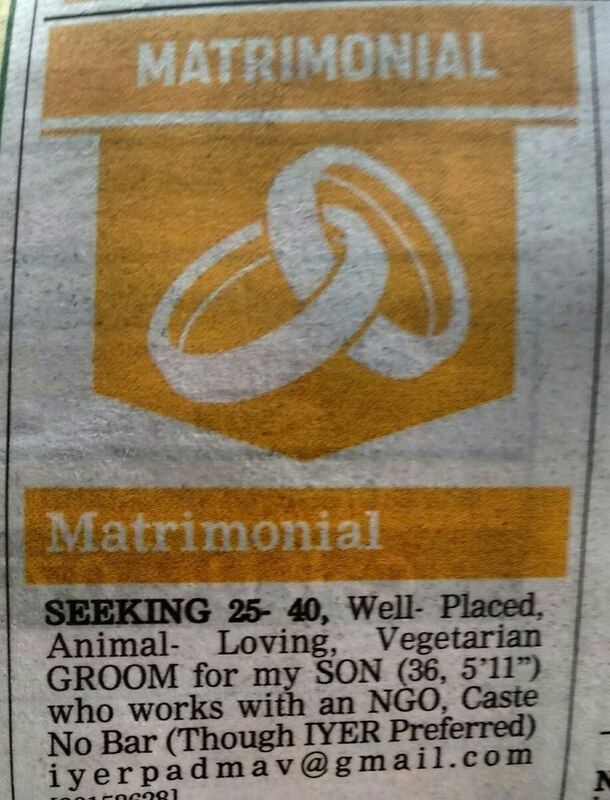 This is the first time a man requested to place an ad that asked for a groom instead of a bride! We are glad he decided to keep working towards it in spite of all the rejections he faced. Iyer had an exclusive chat with Buzzfeed and narrated what really happened. He said it all began with DNA. His mother approached them with the matrimonial ad which got rejected instantly. 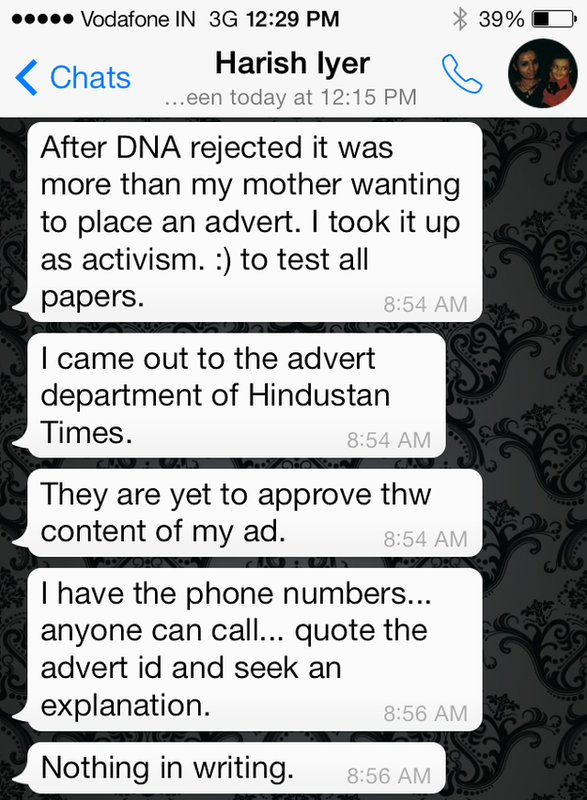 DNA told him a gay matrimonial ad is illegal and so he approached the Times of India. 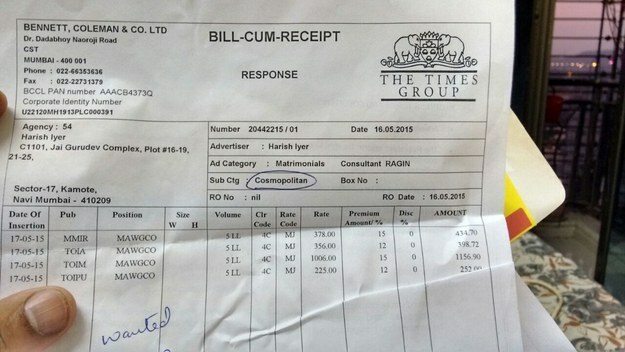 He said that The Times of India seemed thrilled and excited initially and then later mailed him saying that the authorities said it was illegal and therefore couldn’t publish the ad. It’s just so upsetting to know that only one form of love is recognised as “legal” and the rest aren’t. His issues didn’t end here. The same happened with Hindustan Times. Finally it was Mid Day that published his ad and this is what it looks like. Mid Day editor explained how they have always stood up for human rights and therefore there is nothing illegal about it. Finally Harish Iyer and the rest of us managed to find one leading daily who doesn’t judge love in context of gender and “legality”. Kudos Mid Day and good luck Harish Iyer; we sincerely hope you find a loving groom for yourself after all the trouble you ahve been through! Previous articleAddictive Chaiyya Chaiyya Michael Jackson Mashup!